By far the best hauliers in the game. Never a need to worry about if the job will go as planned. Very professional service and like that we get an order confirmation back (which most hauliers don’t bother doing) highly recommended. 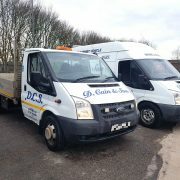 AV Danzer Ltd have a long term working relationship with D Cain & Son for over 15 years (+) with 2x Wagons on permanent hire every day. 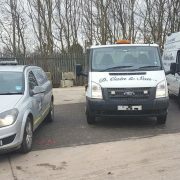 We have found that all the drivers have numerous years of experience and first hand knowledge of how to install our units correctly and professionally. Darren Cain & Dan Cain (Jnr) has given AV Danzer constant support in all our haulage needs and with his experience and professional knowledge of the industry he carry’s out numerous site visit on our behalf and provides a very competitive price to carry out our haulage. 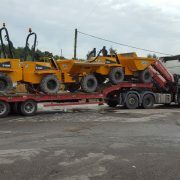 I would definitely recommend D Cain & Son for all your haulage requirements. I first met Darren in 1999 when he told me of his ambition to run his own road haulage business, with one wagon as an owner driver. He has always worked hard and delivered a reliable, service you can count on. With his wife Anne daughter Leanne and son Darren it truly is a family business you should all be proud of and may you all continue to have the success you richly deserve.